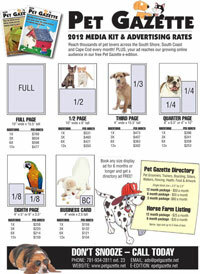 Don't miss our free Pet Gazette eEdition! What began as a raw, wet and gloomy Sunday in June involved into a warm and fuzzy pet festival as The South Shore Pet Expo got under way at The Marshfield Fairgrounds on June third. For the third year, Co-Chairs Karen Price of South Paws Doggie Daycare and Marlo Manning of Fairy Dog Parents organized this free pet event to pay homage to non-profit pet organizations and showcase local vendors of pet related business and services. This years festivities included a demonstration by The Plymouth County K9 Police Unit and a “Mutt Strutt” to introduce some adoptable dogs looking for new homes. “It is truly amazing to see so many people that want to help critters find their forever homes and they’re all volunteers,” said Linda from Pembroke who brought her mother and husband to the Expo. Marlene Bernhardt, a volunteer for Beagles Of New England (BONES), a Beagle rescue group, and first time booth attendant for the Expo attends many events throughout New England educating the public about the Beagle adoption. “Many of the visitors to our booth were unaware of the need for Beagle rescue in Massachusetts,”she said. “I was glad to spread the word of our organization and gab about our adorable adoptable Beagles.” Several people were interested in adopting, fostering and volunteering with BONES. Janet LeBerge of Pembroke said the best thing about the pet event this year was “meeting and adopting Pepper and Ebony,” two rescued dogs brought to the expo by Schultz’s Guest House in Dedham. LeBerge has already renamed her new pets, Rita and Roxy. Is that puppy or older dog STILL not housebroken? If you are serious about housebreaking, you need to take some consistent actions and relatively easy steps to resolve the problem. Puppies and older dogs that are not housebroken should be confined or closely watched. You need to create situations that are either self-correcting (sitting in a messy crate) or that enable you to give the dog an immediate, verbal correction. The American Humane Association and Hallmark Channel are pleased to announce that nominations are officially open for the second annual installment of the "American Humane Association Hero Dog Awards". Dog lovers are encouraged to visit www.herodogawards.org to nominate their heroic canines in any one of eight categories: Law Enforcement/Arson; Service; Therapy; Military; Guides; Search and Rescue; Hearing; and Emerging Hero Dogs, a category reserved for ordinary pets who do extraordinary things. The broadcast of the 2012 Hero Dog Awards will air on Hallmark Channel next fall. 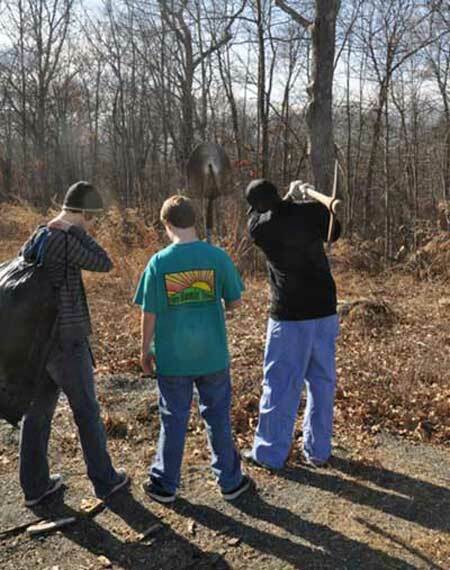 Spring is here, and wild animals are active! This is a fantastic time of year for wildlife watching, but also a time to be vigilant to prevent conflicts with wild animals. They’re hungry after a long, hard winter, so they may be raiding your trash can, compost pile, or garden - or eating the cat food you put out for the neighborhood strays. Some wildlife, such as coyotes, fishers, foxes, weasels, birds of prey, and even bears, may kill your livestock or small pets if they have the chance. You can prevent this by predator-proofing chicken coops and other outdoor enclosures for domestic animals (on the bottom, sides, and top to protect from predators who climb, dig, and fly). Some of the cutest stuffed animals are in my likeness- and I am one big stuffed animal come to life! 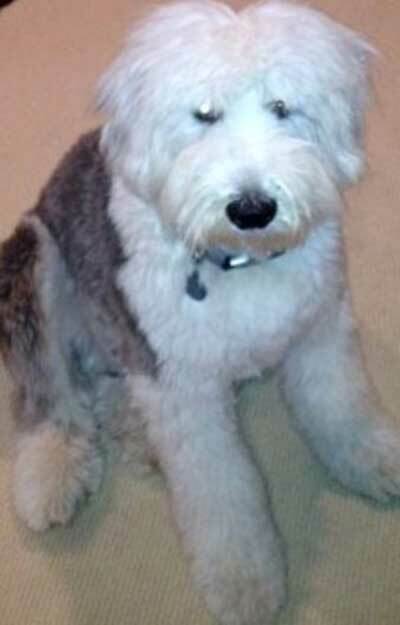 I am Mugzy, an Old English Sheepdog, easily recognized, but not so common that you see one of us every day. As puppies we are one of the most irresistible breeds out there- but beware- we need lots of care and attention that requires careful consideration before you devote yourself to one of us. No matter how charming, delightful, and cute we are (and we will play it up to the hilt to catch all of your attention) - you must resist until you really get to know our breed. We demand time and an emotional commitment more so than most breeds, but we return and inspire love by tenfold. We like to be the center of attention and have fun and be sure everyone around us joins in the fun! We are called clownish and rambunctious at playtime and have been described as being “an eternal teenager”- always looking for fun and mischief, but after all that fun; I need my sleepy time too! With their talking ability, intelligence and gaudy coloration it’s often love at first sight for perspective parrot purchasers – not realizing until too late the drawbacks that they could be stuck with for up to the next 100 years. When they DO realize, parrots are often passed from person to person becoming “merry-go-round birds”; a phrase coined by Marc Johnson of Foster Parrots. Paul Brennan, also of Foster Parrots, offers this cautionary tale. Paul shared a love of animals with his mother, who took in and rehabilitated strays and orphaned wild animals. 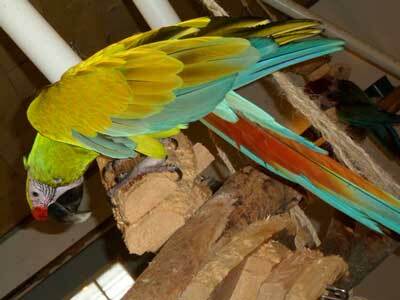 At 14, he built a flight cage stocked with a dozen parakeets and cockatiels; but Paul wanted a large parrot; and used $1500 of inheritance money to purchase Oakley, the blue and gold macaw. the suppleing and training of most of these steeds. but why they’re current is still quite a mystery. So let us explore some of these abstractions. In this column last month I presented the topic of euthanasia and a little of the process by which people come to their decisions. Last month was a dead serious, solemn topic. This month’s topic is about what you do with your dead once your pet has died. My focus here is on the smaller animals since that is what we mostly see at the Odd Pet Vet. I am not concerned about the dead elephant, horse, cow, or even the dog or cat. I’ve gone through these parameters before but the average weight of our patients at the Odd Pet Vet is somewhere around 100 grams. That is just over 3 ounces. Nevertheless some very big personalities have lived in some very small bodies. Take EB White’s Stuart, he was a mouse and he lived in a body a thousand times smaller than mine. His personality was so large that he became world famous. I am a thousand times larger and a hundred million times less well known. We don’t bury personalities, just their bodies. 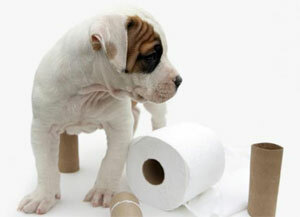 Animal cruelty: What is it and what would you do? Animal cruelty, animal abuse, animal mistreatment, all of these words send a shiver up and down our spines when we hear stories about what humans have done to animals. The Animal Rescue League of Boston’s Cape Cod branch announced that it will hold its second annual “Paws for Celebration” fundraiser on Sunday, May 6 from 12-4 PM at Nauset Regional Middle School in Orleans. 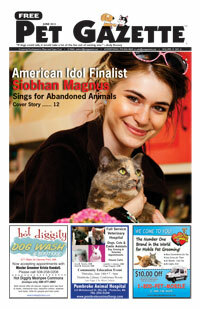 Nauset Pet Services in Eastham has signed on as the 2012 Presenting Sponsor in honor of its 40th anniversary. Who gets Fido in a divorce; Where is King Solomon when you need him?